More monitors, more desktop real estate, the ultimate desire for any computer user. The days of dual displays have been here for many years now. The most commonly first for majority of users was the laptop with a connected desktop monitor (or presentation projector). To go beyond two monitors usually meant some extreme expense outside the additional cost of another monitor. The purchase of an additional video card would most likely be your only option. Then there was eyefinity© which meant if you already had a PC you would have to purchase a Radeon card that had this capability. Both of these options were quite pricey. StarTech.com has come up with an alternative for those who desire to go triple monitors for multiple devices with ease. The triple display splitter from StarTech is one of the simplest to install and does not require software to use it. 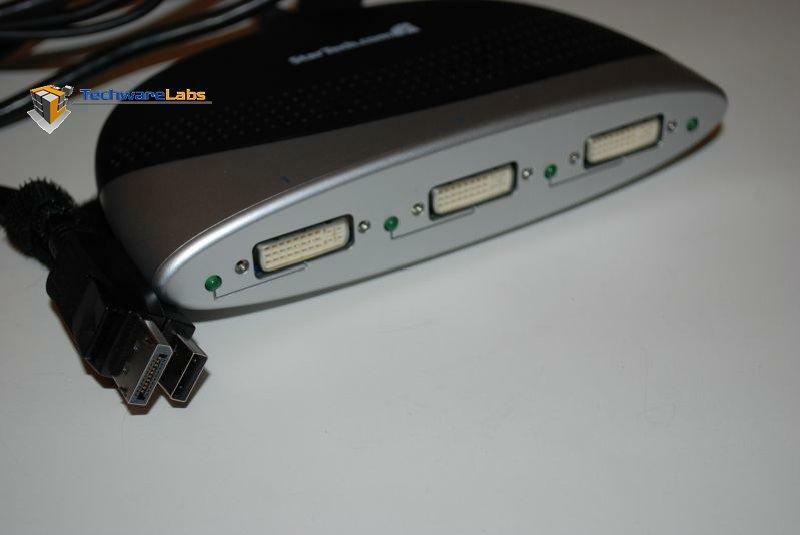 If your laptop or desktop has a DisplayPort and a USB port (for power), you can plug in the triple port splitter and within seconds you will have a triple display up and running.